You met Summer at Snowy Ride presentation in 2017. In 2018 Summer has set her goal to raise over $5000. 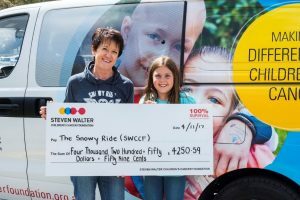 You may support Summer by buying an Entertainment Book which can save you big dollars on dining, shopping and activities, and all the funds raised help SWCCF towards meeting the challenge of 100% survival for children with cancer. Preview this years book from a variety of regions here. You can order this years book or digital membership on Summer’s personal link here to ensure all proceeds go back to the charity.